Original tape date: March 10, 2014. First aired: March 14, 2014. We talk with some of the top graffiti artists featured in The Museum of the City of New York's new exhibit -- "City As Canvas: Graffiti Art from the Martin Wong Collection" -- about how graffiti began as an illicit activity and evolved into an art form with the help of people like Martin Wong, growing into a worldwide phenomenon. A studio visit with NYC-based Dutch artist Hans Broek, a 2014 finalist to paint the royal portrait of the brand new King of the Netherlands. Broek tells correspondent Lisa Beth Kovetz about the thoughts and emotions that go through his head as the brush hits the canvas. Pat Collins goes behind the scenes of the hit musical, Newsies. She visits one of their dance studios to speak with Christopher Gattelli, the show’s dance choreographer to talk about his Tony award winning choreography. Donna Hanover sits down to talk with Charles Busch, famed playwright and female impersonator, and his longtime friend and co-star, Julie Halston, on the set of their latest collaboration, The Tribute Artist. 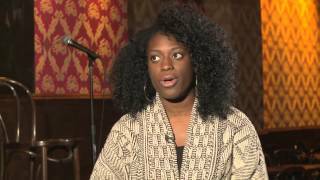 Brooklyn-born comedian Kerry Coddett created a firestorm when she wrote several articles critical of Saturday Night Live’s lack of diversity. It got her international attention -- and an audition with SNL’s executive producer Lorne Michaels. Kerry Coddett tells how her passion for fashion led to freelance work for a famous rapper. 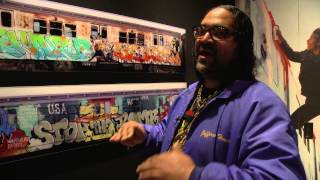 Graffiti artist Sharp, talks about how much time went into actively painting trains. Futura 2000, talks about how he got to know graffiti art collector Martin Wong. 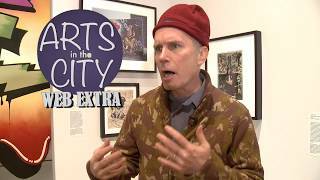 Wild Style filmmaker Charlie Ahearn, talks about Martin Wong and his impact on graffiti. Graffiti artist Lady Pink, discusses how she got her name. 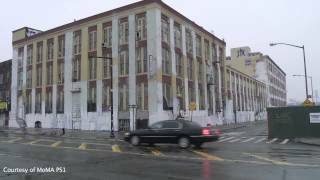 Graffiti artist Daze, talks about the recent white-washing of 5 Pointz.